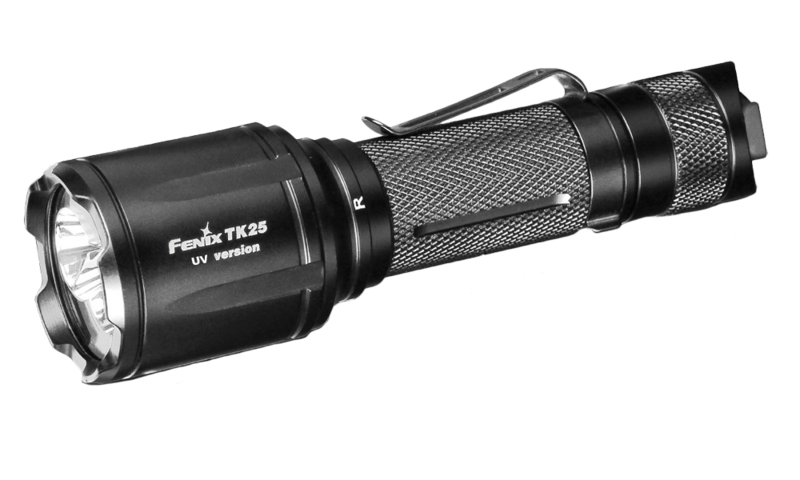 The Fenix TK25 UV is a tactical flashlight that features an innovative mode switching head that allows you to switch between white light and ultra-violet light. The 3000nW UV light is great for counterfeit currency detection as well as other professional applications. Two tactical tail switches allow you to easily activate the light’s modes. 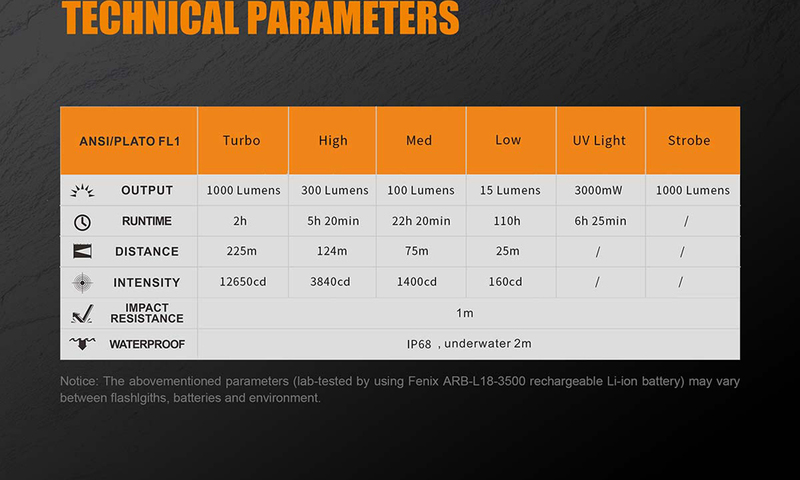 The high-performance flashlight’s white light includes 4 levels of output and variable strobe. The Turbo setting emits a max output of 1000 lumens and beam distance of 738 feet (225 meters). Compatible with AER-03 pressure switch, this flashlight is a perfect for most law enforcement applications. Included: Lanyard, holster, spare O-ring, body clip.